Night after night at their live shows, Josh Hoyer & Soul Colossal leave it all on the table, bringing crowds palpably authentic music. This is a real working band; music for the people, by the people. You hear the veracity in Hoyer’s voice. You hear the strife of a guitar amp being pushed to its limits. You hear keyboards hammering notes home while emboldened horns soar over the top of a rhythm section akin to a freight train. The raucous funk and smooth soul emanating from the stage dutifully pays homage to the past soul giants while simultaneously charging forward, piloting themselves into the modern era. This is soul music. 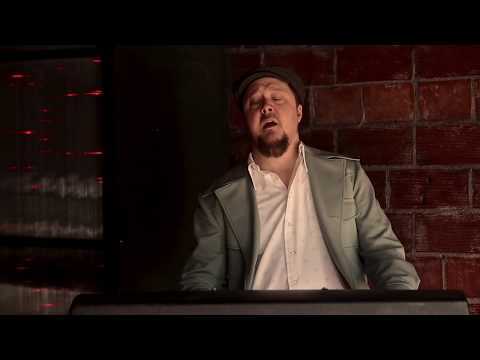 Hoyer formed Josh Hoyer & Soul Colossal in 2012 in famed blues town Lincoln, Nebraska. The award-winning five-piece band includes some of the area's most revered and accomplished musicians. Joining Hoyer (keyboards/vocals) is Blake DeForest (trumpet), Mike Keeling (bass), Benjamin Kushner (guitar), and Larell Ware (drums). Inspired by the sounds of Stax, Motown, Muscle Shoals, New Orleans, Philly and San Francisco, the band continuously crosses musical boundaries both in style and era, and joins forces each show with a common goal - to have the crowd dancing so much they forget even their smallest troubles. On January 18th, 2019, Josh Hoyer & Soul Colossal released Do It Now, their fourth full length studio album. The album was recorded at Silver Street in Ashland, NE and at Make Believe Studios in Omaha, NE. Upon its initial European release in August 2018, the album drew rave reviews from European publications with Blues Magazine stating, “Josh Hoyer & Soul Colossal still prove to be at the top of the contemporary soul movement.” The band promoted the album on their second European tour; a 37-city outing spanning 6 different countries. Do It Now is available on vinyl, CD and all streaming platforms. Josh Hoyer & Soul Colossal hit the road again in 2018 as they traveled to over 25 states and played numerous festivals across the United States. On January 26th, 2018, Hoyer released The End of the Night, a 3-song EP and solo side project with veteran Nashville songwriters Jay Knowles (Harry Connick Jr, Blake Shelton), and Jon Coleman (Trace Adkins). In 2017, Josh was featured as a contestant on NBC's The Voice, and the band completed their first European tour; a 27-city stint capped with a live album release from their show in Brussels, Belgium.The hard working band completed several national tours from 2015-2017, playing more than 150 shows in 32 states each year, including opening for George Clinton, Charles Bradley, Booker T Jones, and Muscle Shoals Revue. In 2016, the magic of their live show caught the attention of producer Ken Coomer (Wilco, Uncle Tupelo), who joined with the band to record their third full-length album. Running From Love, was recorded at Nashville's historic Sound Emporium, and once again features Hoyer's trademark vocals and the band's signature groove. The album was released on April 8, 2016, on Silver Street Records, and is available on vinyl, CD, and all streaming platforms.